Groups of 300-500: At Howl at the Moon you get the best of both worlds. Our adjoining nightclub, Down Boston, creates the opportunity to give your guests 2 experiences under one roof. With its legacy of arts, culture and Ivy League education, Boston presents a variety of options and venues for your next corporate function. Are you desperately searching for a unique event space? Howl at the Moon can help. Resist booking predictable and mundane corporate event venues in Boston and host your next group, company outing or banquet event only at Howl at the Moon. 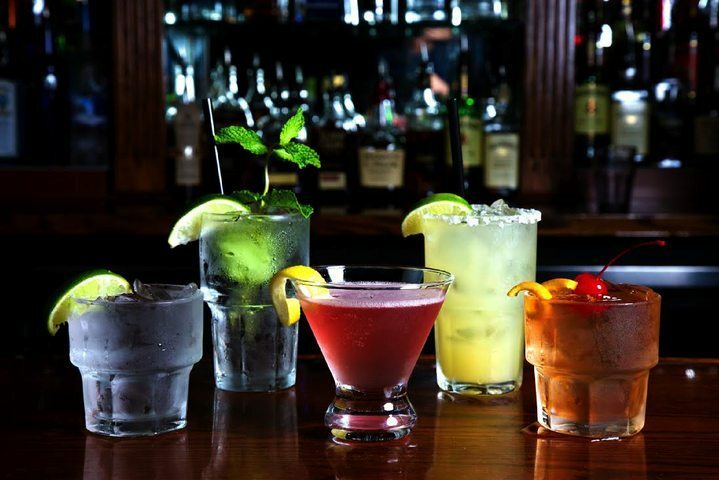 With live musical performances, our cocktail bar and events venue is conveniently located in Boston’s Financial District, allowing us to provide you with lively corporate-friendly entertainment, superior services and customized food and beverage packages. Looking for something different? Down Boston, is located right downstairs and is available to book with Howl at the Moon or separately. This lounge features a full bar and plenty of room for your meeting, networking event or cocktail party. Howl at the Moon is a trendy bar that offers live musical performances to energize and excite your Boston corporate events. With high-energy live shows, musicians perform all genres of music from easy listening to rock. On any given night, our in-house musicians can perform music from Lady Gaga to Bruce Springsteen, we can play any song you would like. Howl’s talented entertainers can also perform an original song specifically composed for your event to pay tribute to your company, product launch or a guest of honor. Howl at the Moon is the unrivaled private event space in Boston because of our lively atmosphere for you and your guests to socialize, relax and enjoy a corporate or a group outing. Our Boston venue and unique event spaces can sustain semi-private and private parties. Bring your next corporate event to Howl at the Moon for a combination of culture, class and pure fun. Howl at the Moon is one of the best party halls in Boston that offers a variety of corporate event packages for groups of 10-340 in both private and semi-private spaces. We specialize in holiday parties, private parties, meetings, cocktail parties, networking events, fundraisers, team building events, award ceremonies and more. Whether you need to reserve two tables or to buyout the entire venue, Howl at the Moon can facilitate your Boston corporate event with plenty of room. Our expert company event planners will work with groups of all sizes and budgets to throw an original, lively and engaging event that is sure to get your guests dancing. Book your party with Howl at the Moon today.